Apple made fingerprint readers cool when it released the fingerprint reader integrated within the home button of the iPhone 5S. The trend has quickly caught on, and many mainstream android manufacturers have either replicated the button-fingerprint reader (Samsung), or added the fingerprint reader on the backside (Huawei). LG is now set to take the fingerprint revolution one step further, by showcasing a button-free fingerprint reader built into the display of the device. The development branch of the company, LG Innotek has made the technology public through its official press release, bringing fingerprint security without the need for a separate sensor. The technology is as simple as placing your finger on the screen and waiting for the display’s built-in sensor to recognize and authenticate it. “LG Innotek cut a shallow furrow of 0.01inches (0.3mm) thick on the lower backside of the cover glass and installed the fingerprint sensor inside of it with using their supreme precision and combination technology. The new design definitely looks way cooler, taking us one step closer to the kind of future Hollywood has promised us for decades. In terms of utility, getting rid of a physical sensor button would not only help make the phone more appealing but add more merit to design and water tightness. Although the scanner is equipped with the panel itself, LG’s new display is merely 0.3mm thicker that regular display screens. However, fingerprint scanning on smartphones is not as secure and foolproof as we think, since bypassing it with lifted fingerprints is not only possible but proven as well. Nonetheless, LG has definitely built a better alternative to the regular, and frankly odd looking fingerprint readers. 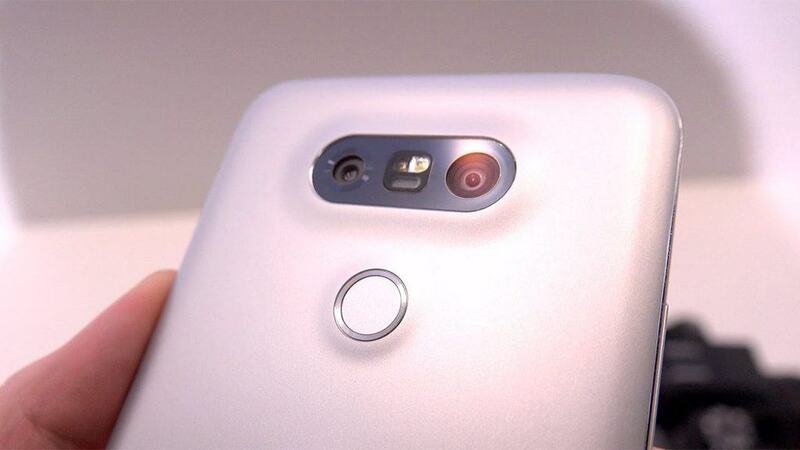 Will you be looking forward to a futuristic touchscreen fingerprint scanner smartphone from LG? Let us know what you think about this innovative piece of technology below.